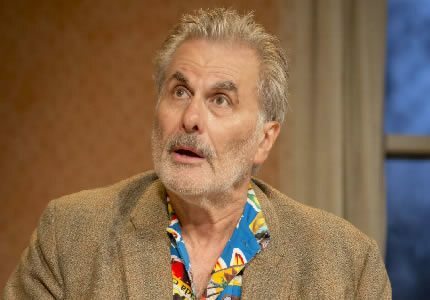 David Grindley directs Oliver Cotton’s play ‘Daytona’ at the Theatre Royal Haymarket for a strictly limited season from 30th June until 23rd August 2014. 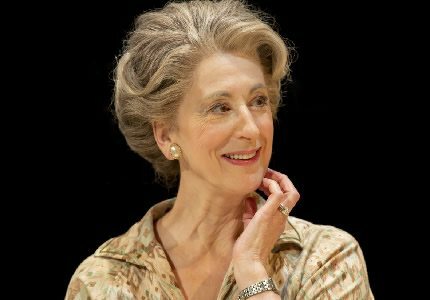 The show transfers from the new Park Theatre in Finsbury Park, and stars Olivier Award winner Maureen Lipman (‘Long Day’s Journey into Night’, ‘Oklahoma!’) and Harry Shearer (voice-work in ‘The Simpsons’). It’s a tale of twists, suspense and powerful reveals that’s as moving as it is shocking. The action takes place in the Brooklyn apartment of a loving Jewish couple, Joe (Shearer) and Elli (Lipman), in 1986. They’re in their early seventies, and even though they constantly bicker the love they’ve nurtured for fifty years is obvious. They are busy rehearsing for a senior ballroom dancing competition which is taking place the following evening. But when Elli leaves to prepare her dance costume, Joe’s estranged brother Billy shows up at the apartment. The brothers haven’t seen each other for 30 years and its unclear what caused their rift, but Billy has flown over from Florida to share distressing news. He was on holiday at Daytona Beach and recognised someone from his past; a Nazi solider who imprisoned all three characters in a concentration camp during the war. He was known for brutally beating prisoners and shooting others to death at random. Billy sought his bloody revenge on the soldier and has come to seek refuge, and kinship, in his brother’s home. 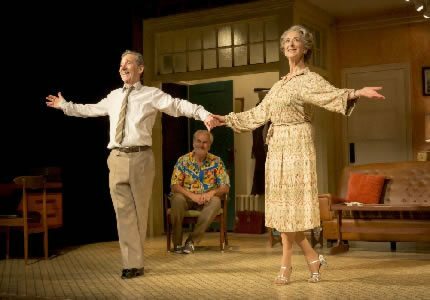 Two shocking twists come in the second half and it would be criminal to reveal them here, but audiences were utterly gripped during the original production at the Park Theatre. This transfer is set to be no different; it’s a forceful and compelling production peppered with sharp wit. ‘Daytona’ is a shocking play with violent themes that would upset younger children. Teenagers accompanied by an adult may enjoy the show for its twists and gripping content.